Aaron was raised in Phoenix, Arizona and attended Brophy College Preparatory. After graduating from Brophy he attended The University of Arizona where he majored in Political Science. While in college, Aaron was a player and the president of Arizona Rugby Football Club. Upon graduating from college Aaron decided to pursue a Law Degree. He followed a long family tradition and attended the University of South Dakota where he focused his studies on becoming a DUI Defense Lawyer. While obtaining a very fine education he spent time on the South Dakota family farm hunting and fishing. After passing both the Arizona and South Dakota Bar Exams Aaron was quickly employed by the Office of the Maricopa County Public Defender. As a Deputy Public Defender he defended hundreds of individuals charged with serious felony offenses including Drug, Conspiracy, Aggravated Assault, Aggravated DUI, Manslaughter, Murder, Money Laundering and almost every other crime in Arizona. This is where he honed his skills as a Lawyer. Aaron spent countless hours in the courtroom, argued over 50 trials, and became an extremely experienced litigator. Aaron’s trial experience sharpened his litigation skills giving him invaluable insight into the legal system and making him one of the premier Lawyers in Phoenix Arizona. 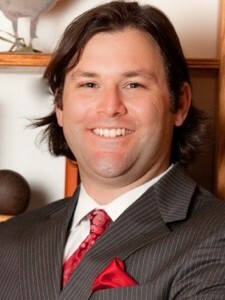 Currently, Aaron is in private practice as a Criminal and DUI Defense Lawyer. His practice is limited Criminal Defense and DUI Defense in all Arizona justice, municipal, state and federal courts. In addition, Aaron places an emphasis on DUI Defense and defending DUI related crimes such as vehicular manslaughter and vehicular assault. Aaron Black is a distinguished and highly respected Phoenix Criminal and DUI Defense Lawyer. The National Advocacy for DUI Defense recognized Aaron Black as one of the Top DUI Defense Lawyers in Arizona for 2014! In 2014 and 2015 Southwest Super Lawyer Magazine named Aaron a Super Lawyer in Criminal: DUI Defense. Super Lawyers. Very few lawyers in the Phoenix area achieve such status during their career. North Valley Magazine rated Aaron as one of the Top Valley DUI Lawyers in 2012, 2013, and 2014. AVVO.com rates Aaron as a Superb 10.0 Lawyer. Read his Clients’ Raving Reviews! Aaron is rated by Martindale-Hubbel as an AV – Preeminent Lawyer; the highest level of professional excellence. In 2013 and 2014 Aaron was recognized by The National Trial Lawyers and awarded the “Top 100 Trial Lawyers” due to his litigation skills. “Top 100 Trial Lawyers” is an invite only Membership offered to the most qualified attorneys in each state who demonstrate superior qualifications of reputation, influence, stature and public profile. The National Trial Lawyers also distinguished Aaron as a “Top 40 under 40″ criminal defense lawyer due to his superior qualifications, trial results, and leadership as a young lawyer under 40 in both 2013 and 2014. Unlike many other Phoenix Criminal Defense Attorneys, Aaron defends a limited number of clients at a given time. This allows him to provide the personalized service expected of an Attorney. He does not employ “associates” or law clerks. When Aaron is defending your liberty you will work only with him. As a client, you will have direct personal cell phone access to Aaron twenty-four hours a day. Unlike large firms that want as many cases as possible, by defending a limited number of individuals you will get the personalized service you deserve. Aaron will handle every aspect of your Criminal or DUI case, personally meet with you, and discuss your options so you can make informed decisions. The criminal justice system can be scary and confusing. With Aaron you will always have direct access to him to discuss any concern. Phoenix Criminal Defense Attorney Aaron Black’s philosophy and reputation is to vigorously fight your Criminal case every step of the way. He is prepared for trial on every Criminal and DUI case. Though most Criminal and DUI cases resolve short of trial, favorable outcomes are often obtained through intensive pretrial investigations. Aaron will never recommend a guilty plea unless there is a substantial benefit to you that could not be gained any other way.